Eating alone can be a sad occasion, especially if you're trying to acclimate to a new place. One great, low-pressure way to interact with others is to head to your new community dining room. Here, other residents will mingle, offering you an opportunity to introduce yourself. Other seniors who have lived at the community longer than you likely have some established friend groups that you may be able to join. Don't be afraid to say hi and sit down at a different table every day. You're sure to find some new pals soon! Another common way for senior living residents is to visit with one another is to exercise. Some communities offer fitness classes geared toward the abilities of older individuals. A resident or activity coordinator may lead classes full of isometric exercises that are great for people with arthritis or who may not have the best balance. Some even provide chair workout classes where you can sit the whole time. There may also be workout groups you can join, like a walking crew or Pilates gathering. Remember in high school or college when you could join myriad clubs? Senior communities often feature similar assemblies that unite people with similar interests. You may find friends among the birders, card-players or even dancers. Ask your community activity coordinator or other residents about your options. Check out a few to find which ones you like the most. Start a music group or attend community concerts to make friends. 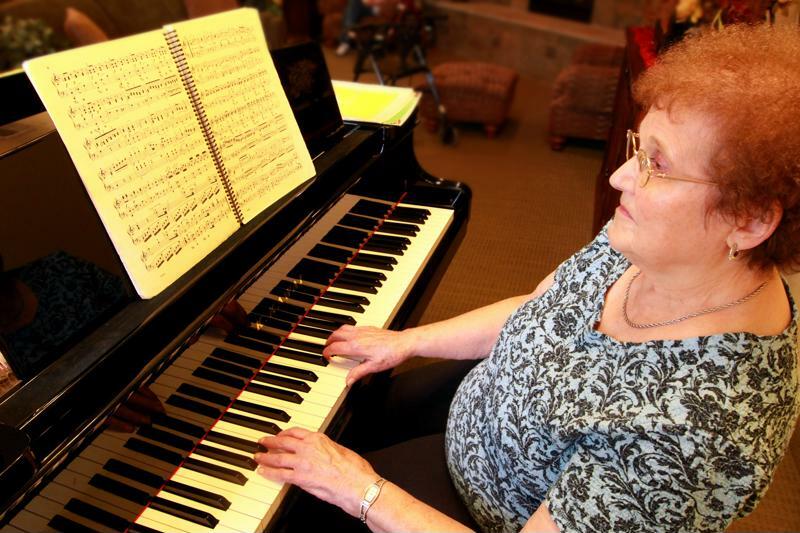 It is common for senior communities to host concerts for seniors and their families. Some residents even join in on the fun to play a tune or sing some songs for their friends! If you're musical, consider starting a performance group or attending these gatherings. Many local schools bring their choir or band to share the kids' love of music. Many seniors choose not to keep their vehicle once they move into a senior living community. This shouldn't be a barrier, however, as your new residence offers transportation. You can attend outings to run errands like visit the grocery store or go to church, or even head to a local sporting event. Some communities also offer personalized transport services that provide a handicap-accessible vehicle to take residents within a certain amount of miles from their new home. Taking advantage of this stress-free transport can allow you to socialize more. Or, you can always give family or friends a call and ask them to come pick you up. Head out to lunch, visit a local attraction like an aquarium or theater and enjoy the freedom that is retirement.